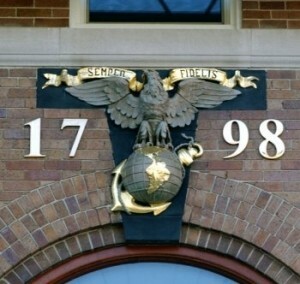 A USMC emblem from the early days of the Corps above the entrance to the Band Hall. The original Center House was destroyed by fire on February 20th, 1829 and was rebuilt that same year. It was rebuilt on its present location in 1907 after being condemned and demolished along with most of the original buildings and walls. 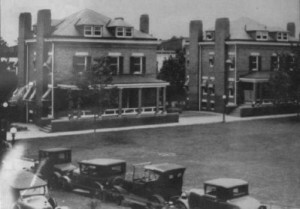 Only the name, “Center House” remains intact from the original building. More than just officers’ mess or quarters for Barracks Officers, Center House is a tradition; a way of life for Barracks Officers and their guests. The elegant first floor sets the scene for social activities that often include the Commandant and his lady, many distinguished military, civilian guests and government officials. 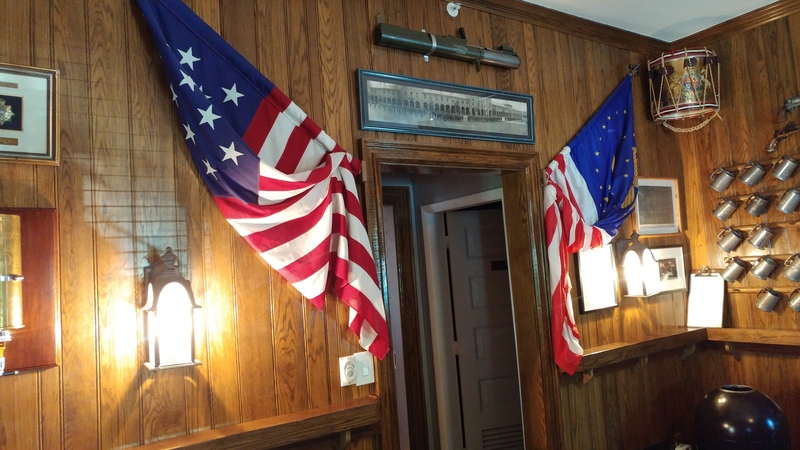 Following evening Parades during the spring and summer months, the Center House’s historic rooms ring with the same sounds of friendship and joviality that must have resounded during the early days of the Marine Corps. 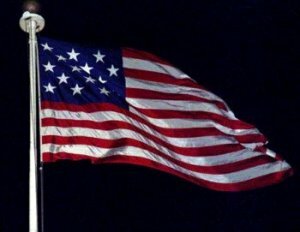 Modern-day Marine Officers are still carrying on the trad itions of those before them, such as the “clever young gentlemen” mentioned in the diary of Rear Admiral Raphael Semmes, a Confederate States Naval Officer who commanded C.S.S. Alabama (which held the record for Union ships sunk or captured), who was held prisoner in Center House from December 29th, 1865 to April 7th, 1866 while awaiting trial on charges of treason and piracy. Admiral Semmes’ complete diary entry read, “The Marine Lieutenants are clever young gentlemen and their companionship is pleasant, as we converse freely that may suggest themselves.” (Admiral Semmes, following a full investigation of his Civil War exploits, was released without trial, which ended his stay at Center House). 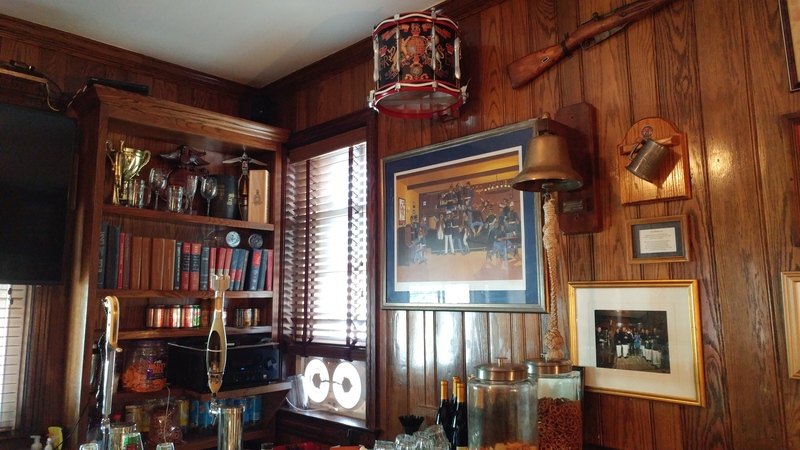 That same companionship mentioned by Admiral Semmes is apparent in the “Drum Room” where the conversation flows freely with the spirits dispensed from the bar. 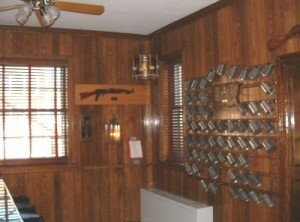 The room is decorated with snare drums from Marine Corps and British musical units of the past and present. The glow of pewter mugs hanging along the Drum Room walls adds another touch of tradition of interest to Marines and guests. 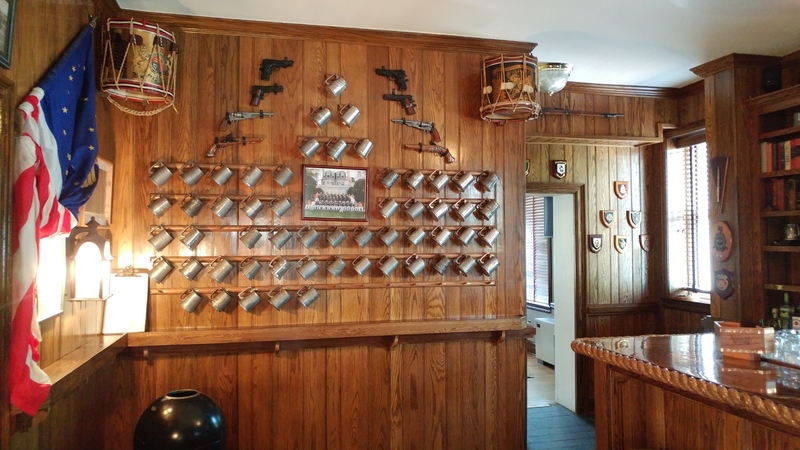 The mugs are hung in order of seniority beginning with the Secretary of the Navy, the Commandant, other general officers residents, and ending with the junior officer at the Barracks. Each mug has an engraved list of former Barracks Officers who enjoyed the companionship of “Center House,” and have since been transferred. Sword and Ribbons of Commandant Leonard F. Chapman, Jr. 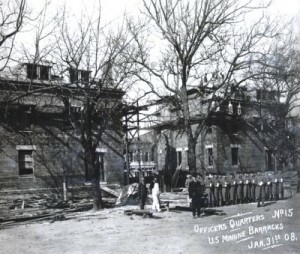 Bachelor quarters for present-day officers are on the floors above ground level. A well-appointed dining room is on the main floor. 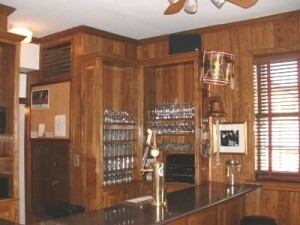 The dining room is supported by a galley in the basement. 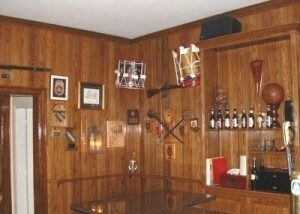 Throughout the main floor of Center House are various reminders of Marine Corps history and tradition. Authentic weaponry and paintings on loan from the Marine Corps Museum help create the friendly, comfortable atmosphere noticed by nearly every guest on the first visit to Center House. 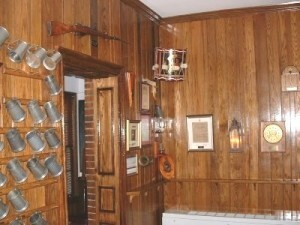 A former Commanding Officer of the Barracks (1956-58), General Chapman is accorded a special place of honor in Center house. He was a tireless innovator, being responsible for many Barracks “firsts.” These include the installation of saluting guns at the south end of the Parade Deck, the initiation of the first Evening Parade, and many of the now-familiar parade elements, such as the “fix bayonets” to music and the placement of red-jacketed trumpeters on the ramparts. 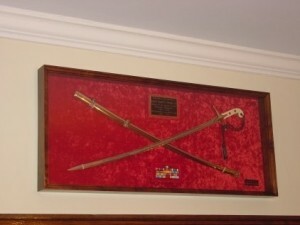 The Commandant’s sword and ribbons were acquired by CHA from his family, and were presented to Center House in 2002. Note: General Chapman's sword was re-encased during the 2017-2018 Center House Artifacts Preservation Project, and is now displayed a museum-quality mount in the Center House dining room. The history of Center House is continually being written, with generations of Officers since 1801 passing through its doors and adding their own stories to those who have gone before them. It is the desire of Center House Association to capture as much as that history as we can to preserve it for those who will follow. We look forward to bringing you more Center House history soon!